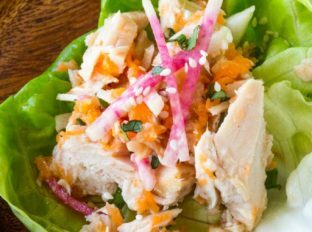 Asian Tuna Salad Lettuce Cups made with solid white albacore tuna in just minutes have all the flavors of your favorite Asian salad with added protein. Perfect for lunch! 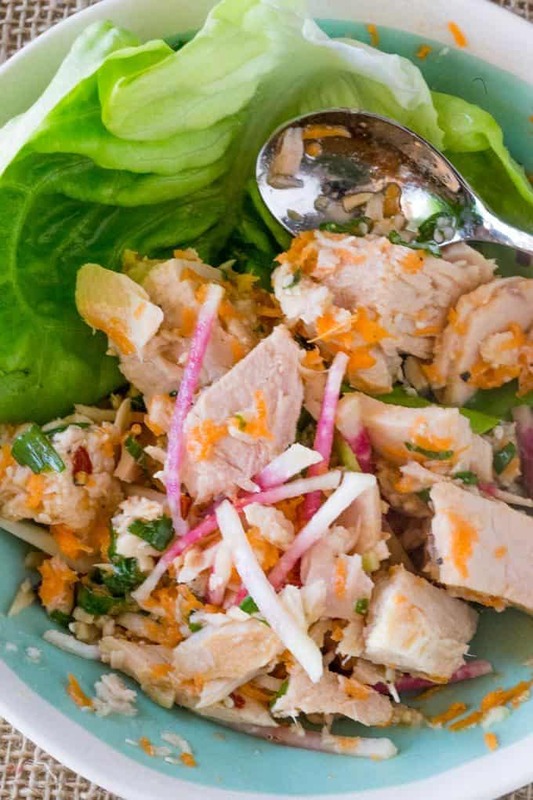 Asian Tuna Salad Lettuce Cups have all the flavors of your favorite Asian salad you get at your favorite restaurants but with so much more lean protein and flavor. With the lettuce cups you can easily pack these for lunch and you won’t have a soggy salad to contend with. This delicious lunch option is made with solid white albacore tuna from Bumble Bee® Seafoods, who generously sponsored this post. 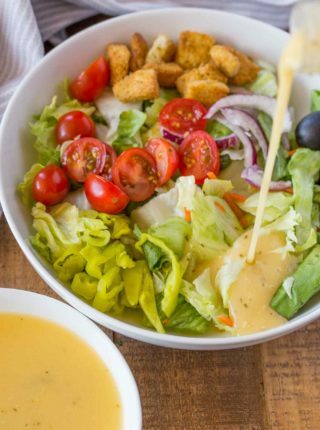 You’ll think this recipe is a total breeze to make because it’s just a few simple ingredients and a simple dressing. Since we are serving them in the lettuce cups we benefit from the fact that there aren’t any ingredients that can go soggy in the meantime. The beautiful colorful sticks are actually watermelon radish pieces which add a nice crunch as well as some fun to the mix. 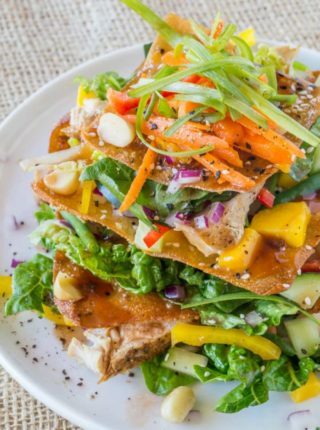 Bumble Bee® Solid White Albacore Tuna is perfect for this healthy dish because it is affordable, delicious, and high in protein. (See bumblebee.com for full nutritional facts.) You can see the difference from chunk tuna immediately after opening the can. The chunks of the albacore tuna are much larger than your standard can of tuna and the result is a flakier fish with firm texture and fresh taste which is wild caught. Adding tuna to your lunch rotation is healthy, quick and an easy low cost way to have a high protein lunch that you can easily use in paleo or gluten-free diets. This recipe is fast and easy and only needs a single bowl to make. 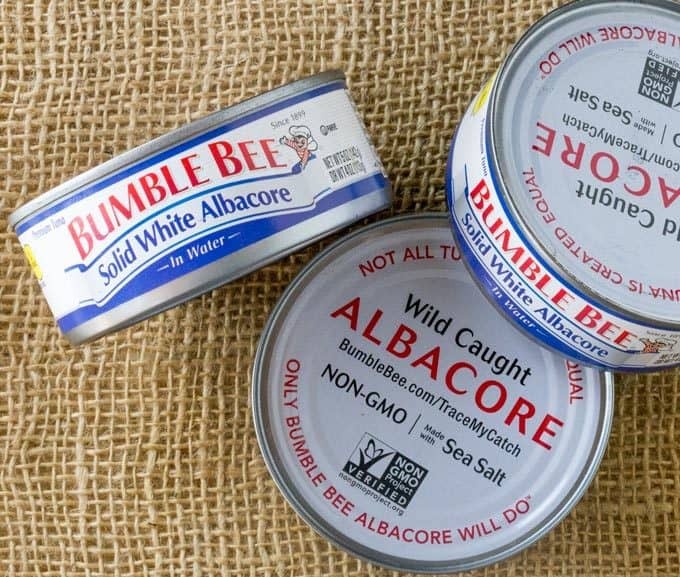 In addition to being a delicious protein you can also feel good about your ingredient choice because Bumble Bee® Solid White Albacore is Non GMO Project Verified. If serving family style, you can spoon it over a bowl of chopped butter lettuce. Additional toppings can include cucumber, grape tomatoes, sliced water chestnuts and sliced jicama. If you want to add a creamier flavor to the dressing you can add in 2 tablespoons of peanut butter (this is SO delicious, trust me). Chopped almonds, peanuts or cashews can add another layer of texture and flavor. If you don’t have fresh garlic or ginger, you can add 1/8 teaspoon of each in powdered form instead. 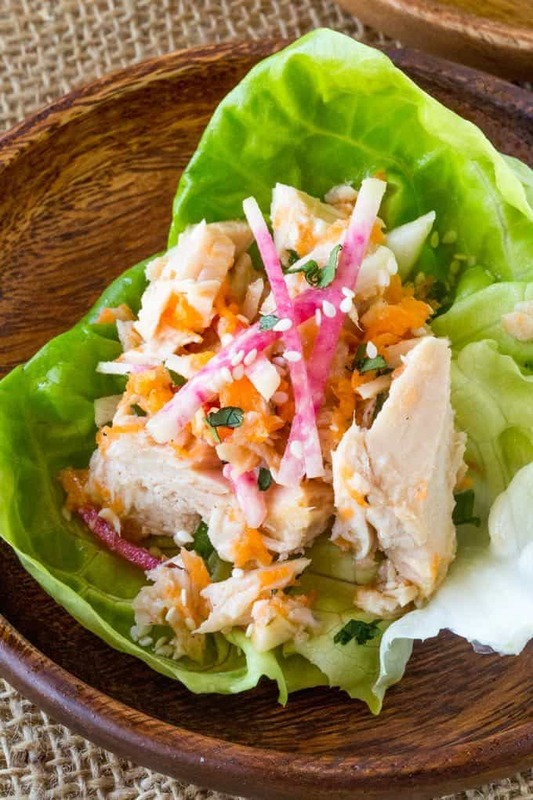 You can wrap the filling in rice paper or tortillas for a delicious wrapped option (I would still include butter lettuce in both of those though). 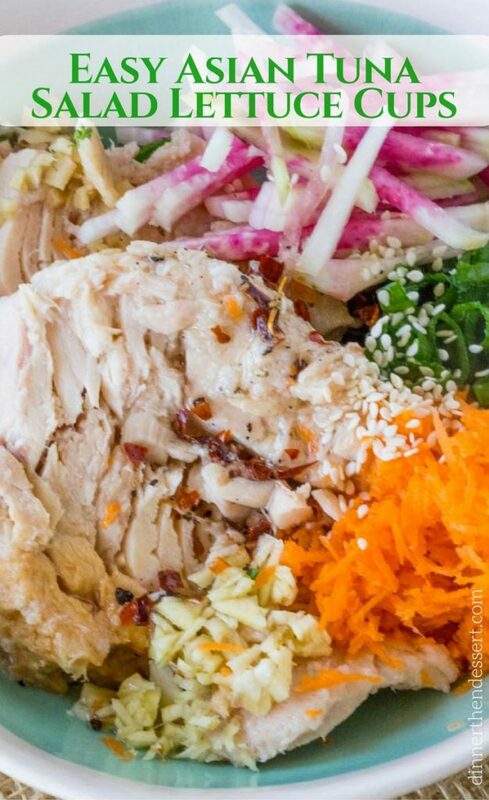 Looking for additional Asian salad recipes on the blog? Try this recipe for yourself and discover why Only Bumble Bee® Albacore Will Do™. Then leave me a comment below and tell me what you thought of it. 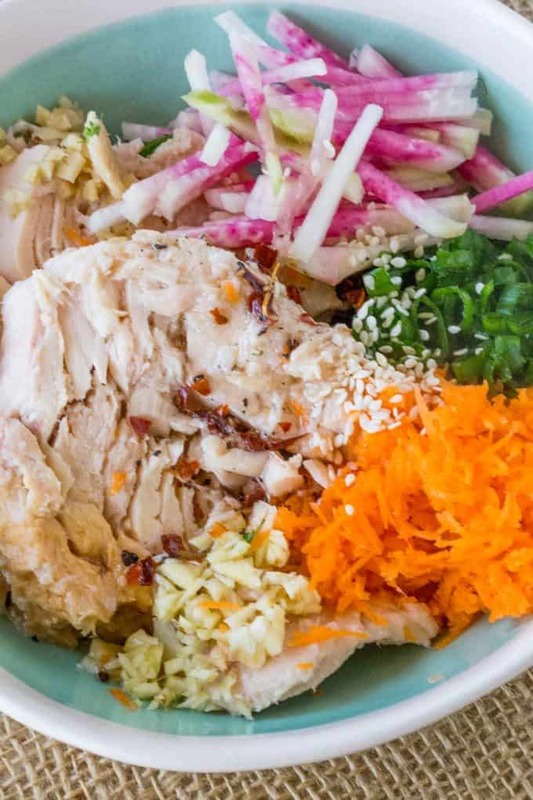 You may never go back to tuna salad made with mayonnaise again! Add everything except the butter lettuce to a small bowl and mix gently. Serve in lettuce cups and garnish with sesame seeds. This is a sponsored post written by me on behalf of Bumble Bee® Seafoods. How did I miss this post? 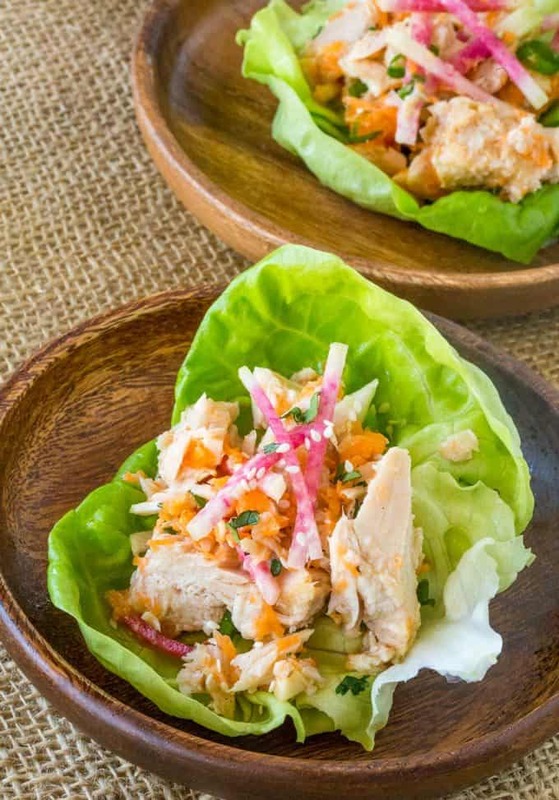 I loved your PF Chang’s-style chicken lettuce cups…now I’m ready to try these for a nice fresh weekend lunch. Thank you! Plus who doesn’t love budget-friendly canned tuna? Bravo. I love tuna for quick and easy meals. Tuna and lettuce are perfect together! I love how easy and healthy these cups are! Ahhhh this is a GENIUS recipe! I can’t wait to make it….like tomorrow! 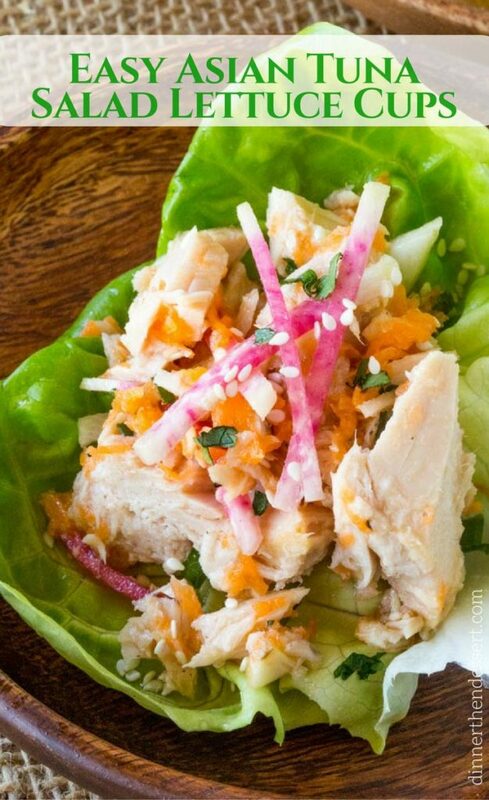 This is such a great low-carb lunch option! Love a good lettuce wrap! These are so bright and perfect for spring! 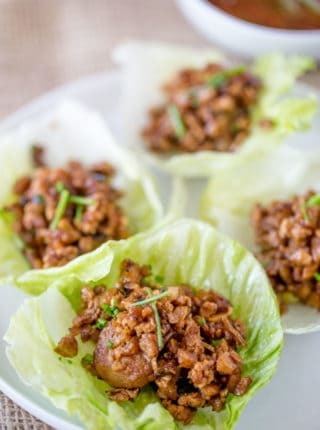 I just love the sound of these lettuce cups for lunch! 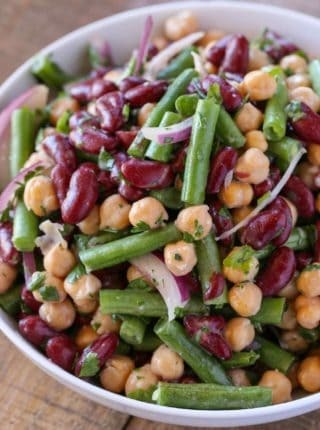 Easy, flavorful and delicious! I’ve never even thought to try lettuce wraps with tuna! What a smart and easy idea for lunch! Thanks, I love that it keeps it on the lighter side too.